This topic contains 8 replies, has 1 voice, and was last updated by Annubitch 2 months ago. Filmmaker or – flimflammer – James Fox still claims he’s offering $100,000 for “credible evidence of UFOs”. One problem is that there’s no credible evidence for Fox’s offer, since he’s ignored the best, real evidence so that he doesn’t have to pay up. 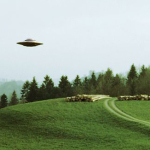 Not to be personally outdone by the Pentagon’s* spending $22 million to not find the Billy Meier case – still ongoing in Switzerland for over 75 years – Fox takes myopia, and charlatanry, to a new level. Mr Fox and his blindness when faced with facts is just another very good example of religious thinking (belief)… it is extremely difficult to change other people’s beliefs and prejudices. Just look at the flat earth believers — alive and well in 2017! Truly amusing. Here’s a fact: One can only change oneself, one cannot change others. This is written in the Goblet and is a Universal truth. It is also the reason why the Mission is known as the “Quiet Revolution of Truth” because every person must do the work for him/herself to seek, find and live the Truth teachings. Unfortunately people like James Fox are a dime-a-dozen and there is very little one can do but to highlight their illogical/irrational thinking and acting (as our good friend Michael “the Hornblower” does admirably) and then not waste much more time and energy on it. This, at least, is my very own personal opinion. Gee in this supposed finger flicking access to basically the whole repository of all the human knowledge combined in the 21st century, sadly we still have to deal with this nonsense where people just can’t be bothered thinking for themselves because believing is a lot easier and less brain draining. When will people actually wake up out of their dream state and actually look at reality as it truly verily honestly factually and really is. For how long is this addiction to phantasmagoria going to drag us down before truthgoria and realitygoria has a chance to pull us back up again. It’s not just the limits of English, it’s the limits of language itself and the material nature of being which has natural limitations as to how much it can perceive, relay and be truly understood. There should be no reason to always engage in bloated discussion, nitpicking and explaining everything down to its finest detail at every point — because, speaking from an ideally evolved societal standard, this understanding must be acquired naturally by every individual receiving said information. This is exactly why this mission is so difficult and also why, no matter how thoroughly explained, be it German or English, misunderstandings and misconceptions may occur, including from opposing standpoints who may perceive X to be Y, when X is truly Z. Of course there are times when things are very obvious or slightly obvious, but there are also times when it’s not, and this gives even further reason to be neutral, because everyone’s acquired understanding and means of expressing their understanding can vary from person to person. This makes the human being a very unique creature indeed, and one that must be handled with tact as much as possible, especially in regards to different methods and means of each individual’s evolution. There is no language or text, movie, song, or anything that can truly awaken a person, including the Teaching, because the person themselves must come to not only finding the truth, but perceiving it and understanding it, then continuing the deepening of understanding which goes on long after being a human being (which houses many natural evolutionary limitations) onto higher forms, which too would house limitations, then onto higher, and so on, and so forth beyond humanly comprehensible understanding. A person must not only find, but understand the truth, and even then, it is still impossible to completely get another human being to understand you 100%, at best there can be mutually-acquired understandings, if I want to get my fanny out i’ll get my fanny out, which is also why the mission is very difficult and requires at least hundreds of years, logically speaking. If it were the case that the Teaching would to work like, say, a “magical fairy book” that you pick up and you suddenly become knowing, then everyone on Earth would have already gotten it and there’d be no reason to evolve. We must allow others to grow and give them the chance to do so comfortably. Hi Nigella I think you’re making a common misunderstanding about the “boomerang effect”. On page 226 of The Psyche, questions were answered clearing up the confusion between “positive and negative” and “good and bad”. If I understand correctly, it says that the polarity (like a magnets polarity) shifts so that the thought can return intensified to the sender as if attracted like a magnet, but good healthy thoughts always return as good healthy thoughts, and bad unhealthy thoughts always return to the sender as bad unhealthy thoughts. The polarity (like a magnet) shifts, but not the good/bad aspect. Could you all please address this in your next episode of Humanity Matters and here on the blog? I appreciate everyones good efforts and I’m sure it will return to you in good ways. Hello All, Good text. My opinion is, often people with developed Psyche are sensitive above average, which is a double-edged sword and unfortunately must continually work harder on themselves. If they don’t, life can become very hard, depressing and even disastrous for them. If you suffer, if you are depressed and anxious, at least you know you are not a Robot devoid of any capacity to feel. What beautiful essays I am reading here. This is wonderful food for thought. There is always the yin/yang thought of positive/negative,light/dark,male/female and so on. The yin/yang is known as opposites. When I think of the Creational Universe I always think for every bad there is an equal opposite good. I remember a long time ago when Semjase told Billy why the Plejarens don`t travel all over the universe is because not all of the universes are the nice warm friendly spiritual helping kind generous compssionet good peole like the Plejaren Federation is. Personally I always think for every bad ET there is a good ET just like here on Earth for every bad persion there is a good person. Newutral Positive Thinking. I found this on youtube, it is a documentary about ex-figu members that mr mahesh karamudi made, the guy in the video is mahesh karamudi. Enjoy!